As side dishes go, this one is lesser known. 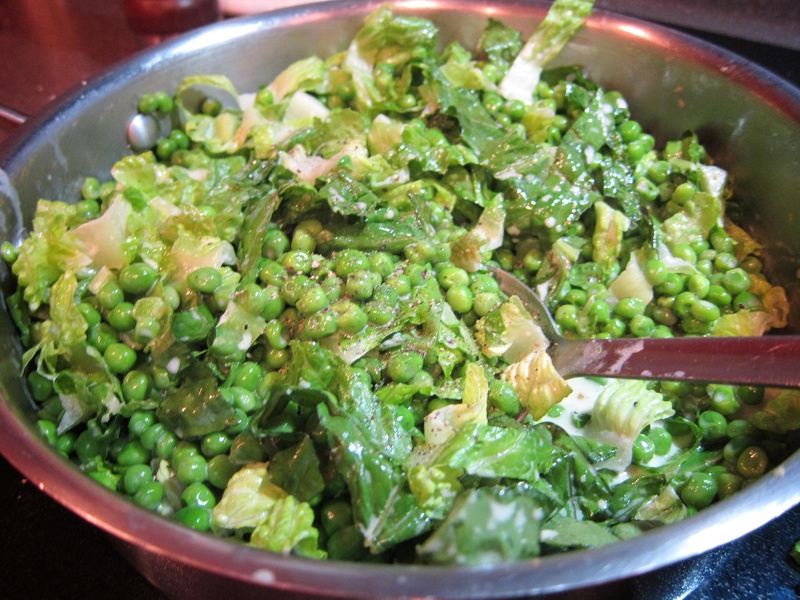 Peas and lettuce is more commonly served in England, usually just a simple sauté in butter. I added the creamy part because, well, because I could. Cut the romaine lettuce crosswise into thin shreds. Set aside. In a large sauté pan bring the cream and butter to a boil. Boil for 5 minutes or until reduced by half. Reduce the heat and add the peas. Heat until warm. Fold in the lettuce and heat until just wilted. You want to retain some of the crunch.